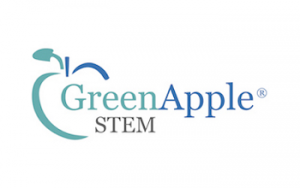 GreenApple®STEM is an international education enrichment organization on the forefront of STEM, Science Technology Engineering Math education and 21st century learning. GreenApple®STEM powers STEM education business opportunity by providing the platform, curriculum, tools and training to deliver STEM and Innovation courses to any web enabled device with access to the internet. Our digital platform gives educators, learning coaches and entrepreneurs the ability to bring these courses to their classrooms, camps, after school programs, workshops and organizations anywhere in the world. Based on more than 15 years of experience, GreenApple®STEM courses are designed to empower students of all ages to seize opportunity by becoming STEM proficient. By becoming a GreenApple®STEM licensee, you will be able to offer a hands-on, student-centered methodology that works. 4 license levels: bronze, silver, gold, platinum. Ongoing support to ensure your success! Your success is our success! Request more information below today!